Home > Dog Health > Nutrition > Raw Diet For Dogs: Will It Improve Your Dog’s Health? 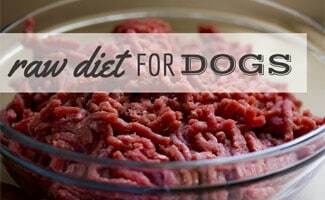 Raw Diet For Dogs: Will It Improve Your Dog’s Health? Raw dog food diets are controversial. While some think this is the way dogs were meant to eat before dogs became pets, others think dry dog food is the correct diet for our four-legged fur balls. Let’s dig into raw food diets for dogs more so you can draw your own conclusion about whether this diet live up to the hype. What Is A Raw Food Diet For Dogs? A raw dog food diet emphasizes uncooked meat (often muscle and organ meat), whole or crushed bones, fruits, vegetables, raw eggs and some dairy. Raw diets started with racing greyhounds and sled dogs. In 1993, Australian veterinarian Ian Billinghurst proposed extending the diet to family dogs. He called this the “BARF diet” for dogs, which stands for Bones and Raw Food or Biologically Appropriate Raw Food. Billinghurst suggested dogs would flourish on BARF dog food since this is how they ate prior to being domesticated. He also argued that commercial pet foods were harmful to the health of dogs. However, many vets and the FDA disagree with Billinghurst’s views. 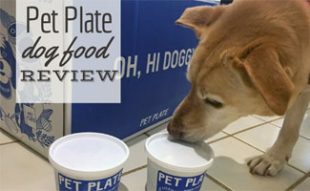 What Are The Claimed Benefits Of Raw Food Diets for Dogs? While there are potential upsides and some veterinarians may recommend it, the American Veterinary Medical Association (AVMA) is not on board with BARF. Citing a number of studies, the AVMA discourages feeding raw or undercooked animal proteins because they can contain potentially deadly pathogens that can sicken your pet and possibly be transmitted to humans. Yikes! It’s important to remember that transitioning your dog to a new diet is a slow process. Below is a rough schedule you can use for this dietary shift. If you notice your dog isn’t feeling well, you should go back a day in the transition plan and proceed at a slower pace. For example, if your dog struggles with 1/2 serving, shift back to 1/4 serving for another day or two before moving forward. Another thing we’d like to mention is that raw diets are only safe for dogs 12 weeks and older. Break the daily serving size into two meals per day: one in the morning and one in the evening. Want to get your dog started on a raw diet? Here is a recipe you can try out. We should note that the nutritional balance varies based on the breed and size of your dog, so talk to your vet about the best option for your pet. Or better yet, get one of the brands we recommend to ensure they get all the nutrients they need. Note: It is critical that you use high-quality grade meat and understand that there are risks associated with consuming uncooked meat. In addition, there are several foods your dog should never eat so plan your recipe accordingly. Put carrot, apple and spinach in food processor and process until finely chopped. Add remaining ingredients except for beef and process until well combined. Transfer mixture to a large bowl and add the beef until well mixed. Form into patties the size of your palm and place on parchment lined baking sheet. Freeze patties and transfer to a storage container to keep frozen. The night before you wish to feed, remove the patties from the freezer and place in refrigerator to thaw. Billinghurst’s book, Give Your Dog a Bone, has sparked commercially processed raw dog food diets to help pet parents who are short on time. 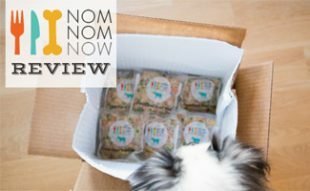 These store-bought food products are freeze-dried or frozen to maintain their nutrients and consist of grains, vitamins and vegetables (the pet owner purchases raw meat separately and adds it to the mix). Just because your furry friend gobbles up a raw meat diet, that doesn’t mean it’s right for all dogs. Some animals might never be able to switch due to food sensitivities or other health issues. We strongly emphasize discussing your dog’s specific needs with your vet before making any dietary changes and being patient in the process. Remember that any diet change can cause some stomach issues. If your dog does get sick or needs medical attention, see a vet right away and consider getting pet insurance now so if a need arises, your medical costs would be partially covered for any exams and medications of issues that exclude preexisting conditions. Learn more about the benefits and if pet insurance may be a good fit for you. You might also check out these other homemade dog food recipes that contain cooked food as an alternative to raw. Why are you considering a raw diet? 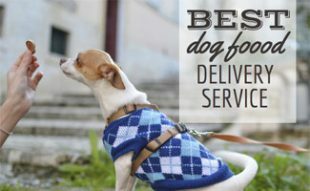 Have you tried it with your pup? Recommend reading Lew Olson’s book “Raw & Natural Nutrition for Dogs”. She explains so much about dogs digestion and why raw is acceptable and preferable to processed dog food diets. She recommends cooking the vegetables and pureeing them to add to raw meat vs just using uncooked veggies. She encourages variety of animal proteins and such – to help with a more balanced diet. She discusses supplimentation (a critical component if you do not feed raw meat bones). It all makes sense but I believe the proof is in the “pudding”. If you dog is healthier then its good for your dog. It is a bit of an expense, but there are ways to help with the budget. FB raw feed groups, check with butchers and restaurant supply houses for better deals on meat. Its a learning experience to be sure! Our 13 year old Maltese started having seizures and 18 months ago was diagnosed with Cushings disease. I believe due to the heavy dose of daily medications he is on he gradually quit eating all together, we could only entice him with table scraps, we tried everything from the cheapest to the most expensive. I read that a raw meat diet cuts down on the certoid production so we gave it a try. He loves it, he’s been on it for 3 weeks and is doing well. The first thing I noticed is he had developed scabby crusty sores all over his body, they have totally cleared up. He is due for blood work in a couple weeks, we are anxious to see the results. I just adopted a 3 year old dog. He has a bad smell to him. I read he may have yeast and It was suggested I use a raw diet. I just started him of zignature. (pet store recommended) After about a week I was thinking of mixing it with raw. Not sure if this will help but I am willing to try anything. Bath don’t help either. Also goat milk was suggested. Any thoughts. Raw meat is not so difficult but a bit more expensive. I switched my dog to all raw due to allergies/yeast infections on his skin. Eye of round and chicken are the best price. My dog is much improved and his smell went away. He looks better and feels better. BARF diet is what I essentially follow. Imitating what he would eat in the wild. Livers, hearts, necks,…. I do add brewers yeast to his food which helps the gut. Hello! I am a mother of two beautiful youg girls both adopted from our local animal shelter. Zoey is an pitbull terrier mixed. adopt at age one year,She is now five years old. Bella! beagle mixed. she is 9 month. old. My girls dont suffers from any significant medical condition, however have seasonal allergies. I researched best diet to feed my girls to help them remain healthy for long as possible. According to Australian veterinarian Ian Billinghurst.He suggested dogs would flourish on BARF dog food since this is how they ate prior to being domesticated.He called this the BARF diet for dogs, which stands for Bones and Raw Food or Biologically Appropriate Raw Food. I agree with his Philosophy due to the results I have with zoey. I added a nutrient supplement and thier food .As for your dog ! May I suggest adding A nutrient supplement called Dinovite. This product has help limit the amount of hair shedding, and paw biting. I noticed her coat is shiny and help with energy levels. I hope this helps! GOOD luck! One of my pugs had a terrible coat with dandruff and bald patches when I adopted him (18 months old). Official allergy testing yielded 14 different foods he was allergic to, including fish, rice, beets, carrots, spinach, corn, cow’s milk, potatoes, sweet potatoes, turkey, etc. So, I started him on raw meat from a butcher with USDA inspected (for animals) meat. I also cooked him an organic egg white omelet with green beans,green peas, and other “legal” vegetables in coconut oil. In addtion, he gets Primal Frozen raw nuggets. His coat now is shiny (he’s a black pug), no dandruff, and he seems to thrive on it. He just turned 12. I have a younger pug (adopted age 4, now 6) who was a show quality pug and show pug momma. She’s itchy and attacks her feet. Her muzzle is very flat, and she had surgery to help her breathe better. I put her on mostly raw, mixed with her Earthborn Weight Control kibble as a transition from her previous owner’s diet. She is allergic to wheat and kangaroo (!). Unfortunately, she still is itchy, so I’m trying to figure that out. It may be her breeding–show pugs are somewhat “deformed” in my opinion, so her genetics may be part of the problem. Year old portugese water dog for the same reasons. How much do you give them based on their weight? Weighs 109 pounds and gets 3 ponds of meat per day (2meals) that seems to work for him. He is very active. What’s your secret to the cost? Our GSD is 54lb 7 month old puppy. She’s breaking the wallet! Lol we can hardly wait until she’s past the puppy stages and be able to drop from almost 3lbs a day to 1lb. Poor thing can’t digest anything other than cooked or raw. I think you always have to look at both sides of the argument. Yes, there is always the potential that there are harmful things in raw dog food. But, if one were to look at the ingredients in dry or canned dog food, they would be appalled. The chemicals in those foods are incredible and often more harmful to dogs than people understand. I made the switch to raw dog food after my dogs just didn’t want to eat dry food anymore. I started ordering food online and its been an amazing switch. My dogs have never been sick from the food, they have shinier coats and healthier teeth. I would recommend it to anyone who is considering the switch and has a high energy dog. What brand are you ordering online, if I may ask? Please don’t use this kind of language in this forum. Not only is it improper, it makes you both appear ignorant. 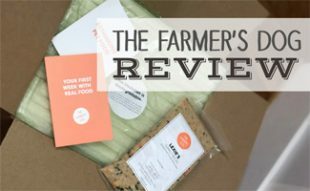 Ew, I would NEVER give my dog raw food! You’re probably a disgusting unhealthy person who knows nothing about nutrition. Grow up Everyone is entitled to their opinion. I am all for RAW think it is the only diet for my pets. Keeps them healthier and I know exactly what they are eating. No roadkill or floor sweepings for my pets, only free range hormone and antibiotic free meats. But it is just ew to others and that is ok too. You may not eat meat. Canines of all walks of life started eating raw food. Don’t be so ignorant. As you know, carnivores eat raw meat by nature. That’s the food that is intended for them and us. My dog thoroughly enjoys a self caught rabbit, fur and all. Animals are smarter than people in the food sense, they eat what they need, we think about it and eat what we want. There are no fat animals in nature. You would if you were watching her die right before your eyes. My dog has EPI. She’s only 7mos old and upto about a month ago she could digest any kind of kibble or overly cooked food. She’s on a strict raw only diet and now making the most perfect poops! We are so proud and excited when she has a beautiful poopy! Don’t discriminate. Everyone one has a preference and some of us have a must!